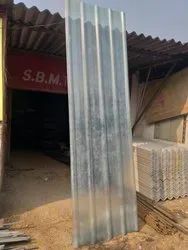 Leading OEM Manufacturer of spanish roofing sheets, roofing sheets, pvc roofing sheet, anti corrosion roofing sheet, frp roofing sheet and transparent roofing sheet from New Delhi. 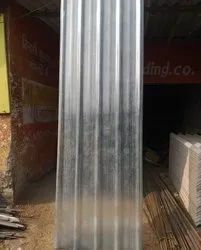 Width: 720mm, 900mm, 910mm, 110mm 1130 etc. Regular colors: Blue, Grey, Red, Green, Black, Brick red, Cream etc. Anti-corrosion: It resists chemical corrosion and its life span is over 3 times longer than zinc panels. Impact capacity: resist impact, tensile and hardly breakable. 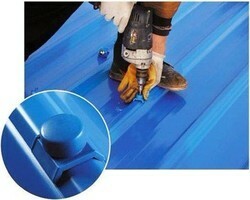 Weather resistant: The UV agent mixing in the corrugated sheet, which can truly resist the damage of ultraviolet ray. The service life is specially long. 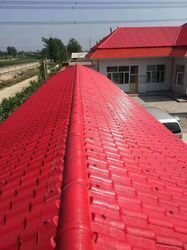 Light weight: The weight is light, it can save the other roofing material, then reduce the total cost. Environment friendly: It does not contain asbestos with no carcinogen released. Furthermore, we also get the 9001-2000 certificate already. We can also make the special specification depending on the customers demand. 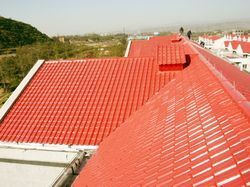 Application: house, commercial and industrial building, factory ect.